In the 1920s, Jolson was America’s most famous and highest-paid entertainer. Between 1911 and 1928, Jolson had nine sell-out Winter Garden shows in a row, more than 80 hit records, and 16 national and international tours. Although best remembered today as the star of the first talking picture, The Jazz Singer (1927), he later starred in a series of successful musical films throughout the 1930s. After the attack on Pearl Harbor, he was the first star to entertain troops overseas during World War II. After a period of inactivity, his stardom returned with The Jolson Story (1946), for which Larry Parks played Jolson, with the singer dubbing for Parks. The formula was repeated in a sequel, Jolson Sings Again (1949). In 1950, he again became the first star to entertain GIs on active service in the Korean War, performing 42 shows in 16 days. He died just weeks after returning to the U.S., partly owing to the physical exertion of performing. Defense Secretary George Marshall posthumously awarded him the Medal of Merit. According to the St. James Encyclopedia of Popular Culture, “Jolson was to jazz, blues, and ragtime what Elvis Presley was to rock ‘n’ roll.” Being the first popular singer to make a spectacular event out of singing a song, he became a rock star before the dawn of rock music. His specialty was performing on stage runways extending out into the audience. He would run up and down the runway, and across the stage, “teasing, cajoling, and thrilling the audience”, often stopping to sing to individual members; all the while the “perspiration would be pouring from his face, and the entire audience would get caught up in the ecstasy of his performance”. According to music historian Larry Stempel, “No one had heard anything quite like it before on Broadway.” Author Stephen Banfield agreed, writing that Jolson’s style was “arguably the single most important factor in defining the modern musical”. Jolson has been referred to as “the king of blackface” performers, a theatrical convention since the mid-19th century. With his unique and dynamic style of singing black music, such as jazz and blues, he was became widely successful by extracting African-American music and popularizing it for white American audiences who were otherwise not receptive to the originators. Alongside his promotion and perpetuation of anti-black stereotypes, his work was sometimes well-regarded among black publications and he has sometimes been credited for fighting against black discrimination on Broadway, as early as 1911. 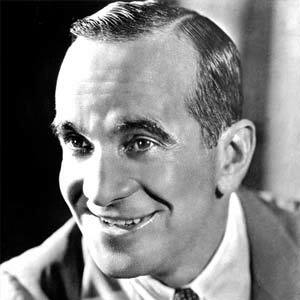 In an essay written in the 21st century Tim Gioia of the Jim Crow Museum of Racist Memorabilia remarks, “If blackface has its shameful poster boy, it is Al Jolson”, showcasing Jolson’s complex legacy in American society.